Yeah, it’s pretty awesome good. I don’t know much about bikes but I know what I like. 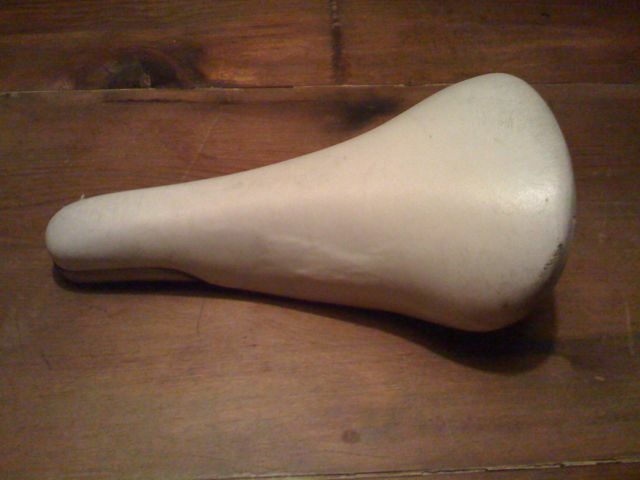 This is a white – kinda beat up – seat for my Raleigh Sports 3-speed. It even comes with it’s own padlock which I am going to have to cut off with bolt cutters. Coco’s Variety Store in Elysian Valley has really good stuff right now. They always have really good stuff but now they have even more, especially of the Bicycle variety. 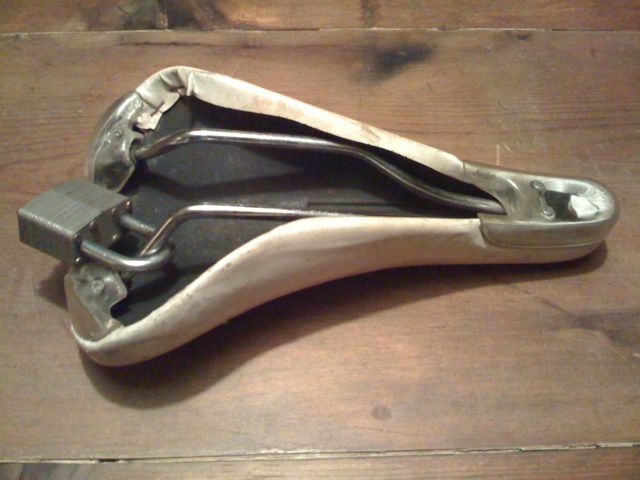 They had a vintage Brooks Saddle – the pro kind with the big copper rivets – for cheap (around 60 bucks) but this beauty caught my eye for cheaper (just 6 bucks). You can’t front on that. New Years resolution, finish (or start) a new bike project and know that you will find help at Coco’s – they do repair work, too.